April 9, 2019 — Rumors have been flying for some time that former NCAA Football coach Tommy Tuberville was looking forward to a run for public office, and now the speculation has come to fruition. 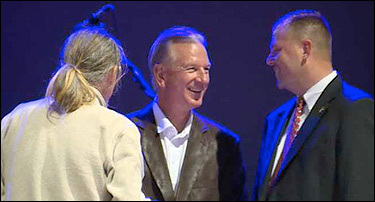 Tuberville officially announced his candidacy for the Alabama US Senate Republican nomination over the weekend. He coached the Auburn University Tigers from the 1999 through 2008 football seasons, won Coach of the Year honors in 2004 and 68 percent of his games while at the Alabama university. As often stated in our Updates, the Alabama Senate race is the most important contest on the Republican target board. Increasing their 53-seat majority to 54 in defeating Democratic Sen. Doug Jones, in what should be one of the safest Republican states, is a must for the GOP and would provide them an important cushion for their majority margin. Dec. 20, 2017 — In attempting to objectively look at the current electorate now one year before the next election, is Democratic enthusiasm about the party’s prospects of capturing the US House majority accurate or does their optimism exceed what the numbers actually say? First, let’s remember in looking at the current cycle’s House special election results that neither party lost a seat they previously held. This is particularly significant when Democrats use the argument in reference to the Kansas, Montana, and Georgia special elections that they over-performed even though failing to win any of the seats. While they may have over-performed in relation to the Trump presidential percentage in Kansas and Montana, when looking back to the last time those particular seats were open the 2017 Republican special election performance was actually within the consistent realm. Therefore, as the Democratic strategists often say themselves, and correctly so, it is the Trump percentage that is generally the political anomaly and not the historical results. In Georgia, the Democrats and their allies spent a record $35 million on that particular special election campaign and still lost by four percentage points. The one seat where they unmistakably over-performed was the only special election where the party’s political apparatus didn’t target: the three-point Republican victory in the South Carolina electoral contest. Sept. 27, 2017 — Voters returned to Alabama polling places yesterday, as Republican run-off participants voted to choose a nominee to advance to the Dec. 12 special general election. To re-cap, former state Supreme Court Chief Justice Roy Moore placed first in the Aug. 15 special Republican primary election, taking 40 percent of the vote from the over 423,000 individuals who cast their ballots. Appointed Sen. Luther Strange took second with 32 percent, which allowed both to move into yesterday’s run-off election. That’s almost exactly the way election turned out yesterday. Judge Moore scored a robust victory last night over Sen. Strange in the special Republican Alabama Senate run-off election. Sen. Strange went down to a 55-45% crushing defeat, just as the pre-election polls predicted. Judge Moore now advances to the Dec. 12 special general election against the Democratic nominee, former US Attorney Doug Jones. Sen. Strange was the choice of the GOP establishment, which, in this case, somewhat surprisingly included President Trump, who usually lines up on the other side. But all the firepower this group brought to bear and Strange’s minimum 3:1 spending advantage was insufficient to overtake and defeat the former state Supreme Court chief, who was twice removed from the bench for disobeying federal court orders that violated his principles. Since the primary, polls had shown Judge Moore holding the advantage heading into yesterday’s vote. So did the very last published polls released within the past 48 hours preceding election day. 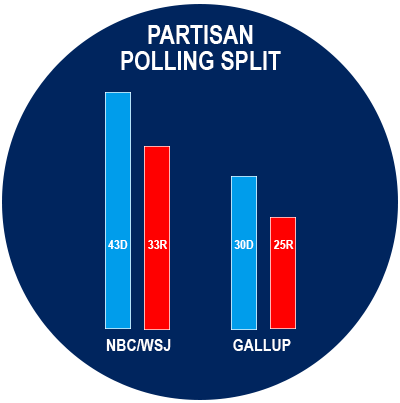 The Trafalgar Group, proving to be the most accurate pollster from the 2016 election through the special elections held earlier this year, went into the field during the Sept. 23-24 period and interviewed 1,073 likely run-off voters. According to their results, Judge Moore’s lead was major: 57-41 percent, far beyond any reasonable margin of error. Dec. 2, 2015 — The early presidential calendar brings March congressional primaries to seven states. Instead of doubling the election cost with a stand-alone presidential primary followed by a commensurate state nomination event later in the year, several legislatures decided to move their entire cycle to an unusually early calendar slot. The March primary states, aside from Texas and Illinois, which normally hold their nomination voting then, are: Alabama, Arkansas, Mississippi, North Carolina and Ohio. Alabama: Sen. Richard Shelby faces Republican primary opposition from four opponents, one of whom, businessman Jonathan McConnell, could self-fund a campaign should he choose to do so. This is a good example of where the short time frame hurts potential challengers. 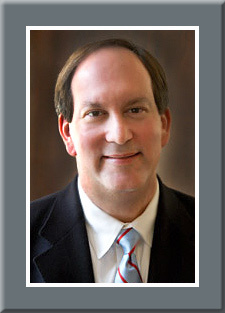 Sen. Shelby should have little problem disposing of his competition to win re-nomination for a sixth term. Should Shelby fall below 50 percent, a run-off election would be held on April 12. All seven House members are seeking re-election. Rep. Bradley Byrne (R-AL-1), Rep. Martha Roby (R-AL-2), Rep. Mike Rogers (R-AL-3) and Rep. Robert Aderholt (R-AL-4) all face Republican opposition. All are favored to win without a run-off.